Some rooms in your home are hotter than others and hard to keep cool. 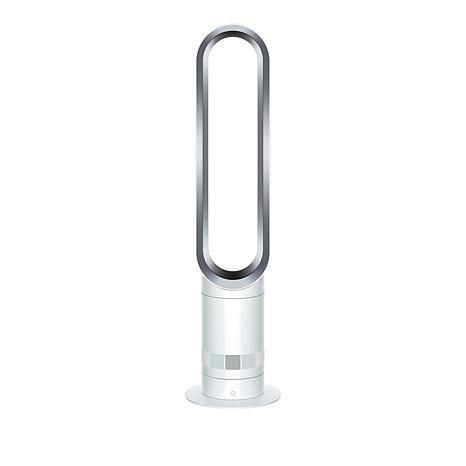 This oscillating fan from Dyson uses air multiplier technology to draw in surrounding air and multiply it to quickly cool any room. Its slender, bladeless design fits any décor and ensures a smooth airflow for efficiency and comfort. With 10 airflow settings and a handy remote, you'll be walking on cool air in no time. This is my first Dyson fan. I was nervous about the price but, when I saw it here for such a great price I felt it was time to buy it. I live in the area of Phoenix Arizona where the temperatures can run from 30 degrees in the winter to 115 degrees in the summers. This fan is wonderful for all seasons. It keeps my bedroom cool in the summer while I have my a/c at 79 degrees. I will buy two more Dysons this year. This is my second Dyson unit! I am so Happy that I bit the money tree to purchase the second one. It is perfect for my bedroom for so many reasons! The first is ;level 1... 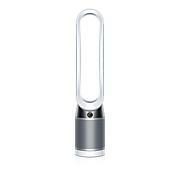 Perfect to keep the air moving while you sleep, any other level on the pivot function... YES! The timer... YES AGAIN! Thank you HSN for making a expensive perk item on flex pay! I would recommend the Dyson fan to anyone. I got it for my husband to use during the night because of severe night sweats. It is a very powerful fan. This is my second Dyson tower fan (I own another Dyson fan in a different style). They are not the quietest of fans when on a higher speed but I don't have a problem with the noise ... I love the fact it can easily be wiped clean. Goodbye to dirty almost impossible to clean fans with blades!